This is the easiest tutorial to root MEmu emulator on the internet. You are using MEmu and came here to get it into the root mode, right? If not, download MEmu Android emulator now. Then, come to this article to root it. So, without making futher ado, let’s get straight into the topic. Steps to Root MEmu Play easily on any PC? NOTE: Most latest MEmu versions comes pre-rooted. So, you don’t to worry. Just install Root Checker app from Play Store. Check if the version of MEmu you are using is rooted or not. If not, then, proceed to the below steps. 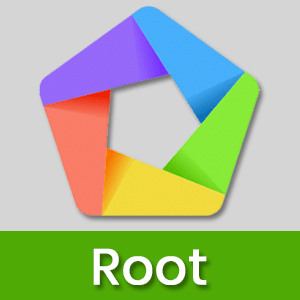 Download KingRoot APK file by clicking on this link. Install it directly as MEmu supports APK file. Now, open the app and click on the big Android icon on the center of KingRoot. Wait some time and within minutes, you will see the magic. Enjoy! You have successfully rooted MEmu emulator. For SuperSu access, download SuperSU APK and install from this link. So, now, you have got the easiest steps for rooting MEmu emulator. Any PC or laptop, this method will work smoothly. If you have got an easier way, then, please comment below. For any doubt also, drop a comment. Thank you.